Tigers, Leopards and now Lions! Oh My! Home / Technology / Tigers, Leopards and now Lions! Oh My! If you work in an ad agency or creative shop, chances are you spend a lot of time in front of a Macintosh. If you don’t, please take this opportunity to promptly destroy any other computer with a Louisville Slugger. Remember Office Space? You get the idea. Even the people at Microsoft make their ads on a Mac. A month or so ago, Apple released the latest operating system for Macintosh. 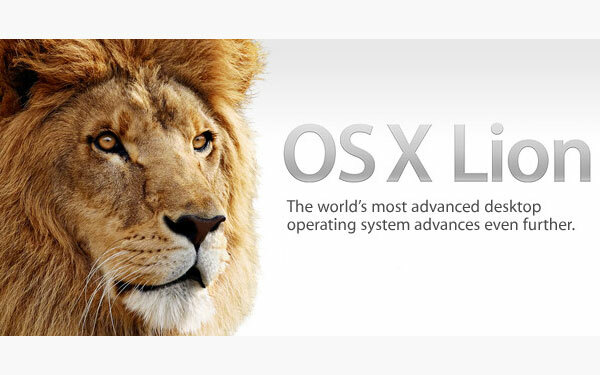 Mac OSX 10.7, also known as Lion, is Apple’s seventh installment of its popular OSX platform. And for the first time in history, you don’t need a disc for installation. Lion is available for download in the Mac App Store for $29. Lion boasts 250 new features for both beginners and serious geeks. I’ve been using Lion since the day it was released to the public and I’ve been pretty pleased so far. Lion is the first operating system from Steve Jobs and company that has been heavily driven by its mobile software, iOS. So iPhone and iPod users new to the Mac platform will already be familiar with Lion even before they log on for the first time. After spending a few days with the new operating system, I began to notice that many of the new features not only are great for personal computing, but also help improve my workflow at the office. So instead of writing a long winded full review of Lion, I thought it would be best to tell you about the a few new features that are great for marketers. Mail. When you make your living in advertising, e-mails are never in short supply. On average, I receive about 75 e-mails per day across my work and personal accounts. So keeping my e-mails organized and accessible is one of my primary concerns at the office. In OSX 10.7, Apple released a completely new version of its native Mail client. In this newest version, the application displays messages and opens emails side by side in a two-column view, which is much easier and efficient than the previous single column display. My favorite new feature in Mail is called Conversations. Conversations is a new tool from Apple that automatically groups messages and shows a streamlined feeds of messages in chronological order. This way, you can see how the messages have progressed without having to locate each individual e-mail. You can easily respond, archive, or delete entire chains of messages all with one click. Maybe now it will only take 20 minutes to get through your morning e-mails instead of the usual half hour. Mission Control. At the office, its rare to ever find someone who only has one app or window open on there Mac. In reality, the busy bees here CurrentMarketing have multiple apps, tabs and windows open in order to work efficiently. Having multiple windows open, however, quickly takes up screen space meaning users must constantly minimize and restore windows to access information. As a part of the new operating system, Apple has added Mission Control, a new application designed to give users the bird’s-eye view of all the open windows and apps. In Mission Control, a row of thumbnails represent the user’s dashboard widgets, desktop and application spaces. The lower part of the screen shows all open windows grouped by application. There’s no limit as to how many windows and documents you can keep organized inside of Mission Control. If users need more space, Mission Control allows them to create a new space by simply dragging an app to the top portion of the screen. Mission Control brings together existing applications, including Exposé, Dashboard and Spaces into a single interface aimed to give users one place to navigate everything on their Mac. The benefit? For marketers and other creative professionals, Mission Control helps us to easily navigate the creative process. In an age where it requires dozens of apps and monitors to develop a single ad, Mission Control is a helpful tool to help marketers organize their ideas in a single space. Auto Save. In advertising and marketing, ideas are money. As a result, a lot of effort goes into saving that work. I probably hit the save button dozens of times each day to ensure that none of my work is lost. Auto Save, a new feature in OSX Lion, hopes to add an additional layer of security ensuring that users never have to fear for losing their work. Auto Save takes a snapshot of whatever a user happens to have open on the screen in an app at any particular time, and saves it. Lion issues save commands every five minutes and saves changes in the background so users are never interrupted with dialog or progress bars. Auto Save also includes a revert feature restoring documents to the state they were in when they were last opened. Lion also has the ability to lock documents to prevent accidental changes. Auto Save automatically creates versions of documents each hour they are open. Users can also manually create snapshots of documents. At any time, users can select the “browse all versions” while inside a document to restore a previous version. At this time, Auto Save is only usable in specific Apple apps, including iWork 9.1 (Pages, Keynote, and Numbers) and TextEdit. However, this new feature will become commonplace as developers update their apps to include the many new features of OSX Lion. This new feature is beneficial to the marketing community for all the obvious reasons.  No longer having to worry about lost changes will help agencies be more productive while saving their clients time and money. No doubt the Auto Save feature in OSX Lion will be one of the marketing community’s favorite features in OSX Lion. There you have it. Three great new features in Apple’s newest operating system that will boost productivity at your agency. So thanks to the folks at Apple for providing the creative community with another great tool to help us serve our clients better.